In order for the Adventure Summit to run smoothly, we rely on hundreds of volunteers to help us over 12 days of the fair. Sign up for a 4-hour shift and we’ll pay for your ticket to get into the fair! 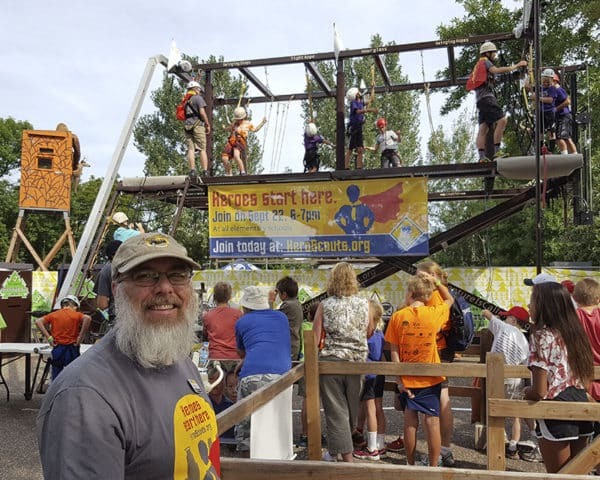 Imagine a ropes course, including a rope ladder and fireman’s pole with an auto-belay system. Actually, don’t imagine it because you can see the real thing by coming to the fair! Participants, boys and girls, get their chance to go through the course all in a matter of minutes. We provide the vest, helmet, and other safety equipment. Did we mention it’s FREE?!? Get Free State Fair TicketsWe need your help and we’ll give you a free state fair ticket for it! Our course takes a lot of people to run so we’d love to have you there. You’ll help participants fill out forms, put on vest/helmets, and spread the good Scouting message. Pick a shift, any shift, and have fun with us at the fair. Guess what? 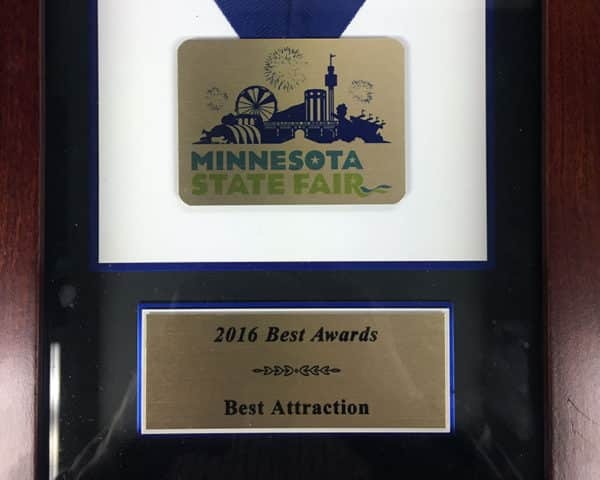 We’re not just any old booth at the fair, we’re the “2016 Best Attraction” winners!